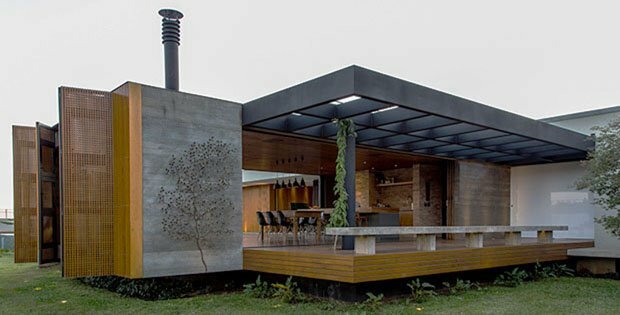 Beyond the primary requirement of providing shelter, a house is also brilliantly tasked with uniting the indoors with the outdoors through simple shapes, lines and volumes, and clever design tricks. Sounds straightforward and unexciting, right? Well wait till you see these photos and see how something simple can become grand with the careful engineering of both volumetric space and play of materials. 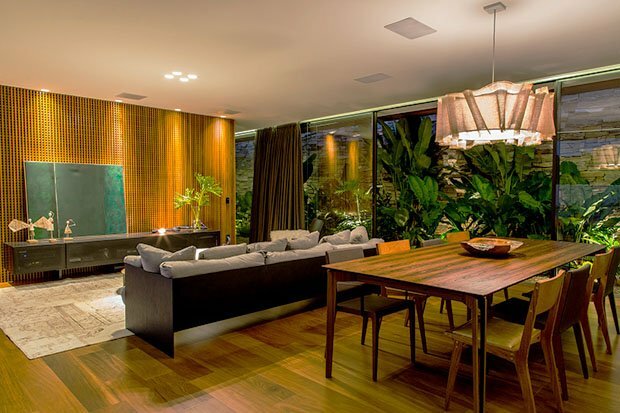 This house is designed to celebrate both the living spaces inside and the exterior by making the interior rooms and spaces flow outside and vice versa with the use of floor-to-ceiling height wooden shutters. The shutters are neatly folded to the side and out of the way to open up the rooms to the outside views, making the exterior and interior spaces flow into each other. 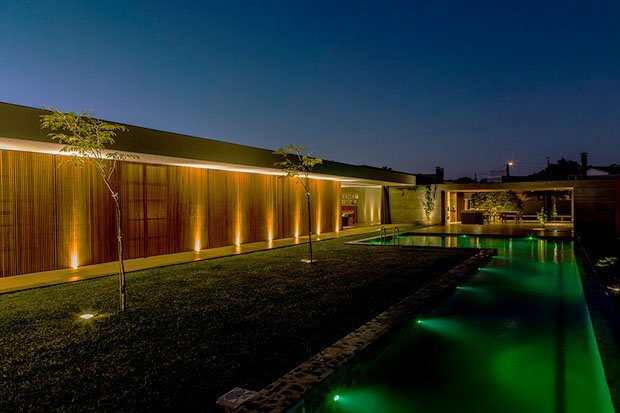 And when nightfall comes, the shutters are easily closed to provide privacy and protection. It’s a creative way to expand interior space by borrowing from the exterior. Now take a look at the photos and tell us what you think on our Facebook Page! 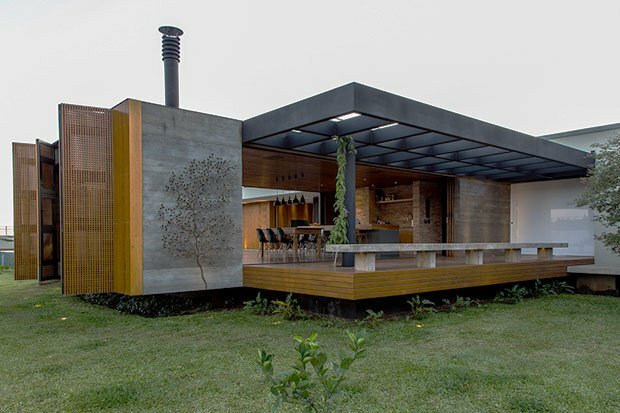 Channeling the influence of Brazilian modernism, MF +Arquitetos paired natural materials, such as wood and stone, with concrete and weathering steel. 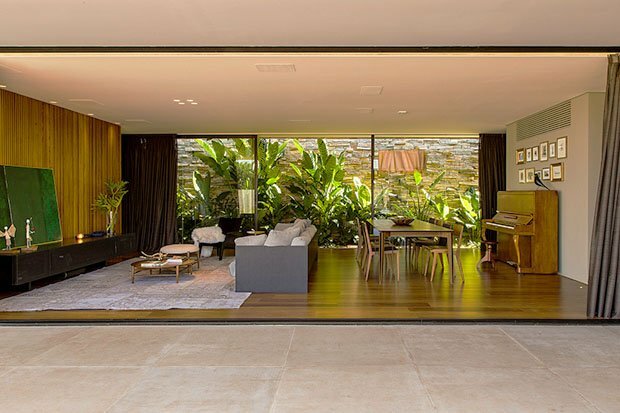 Interrupting the home’s linear formation, a volume containing part of the home’s living space extends perpendicularly to the main house. 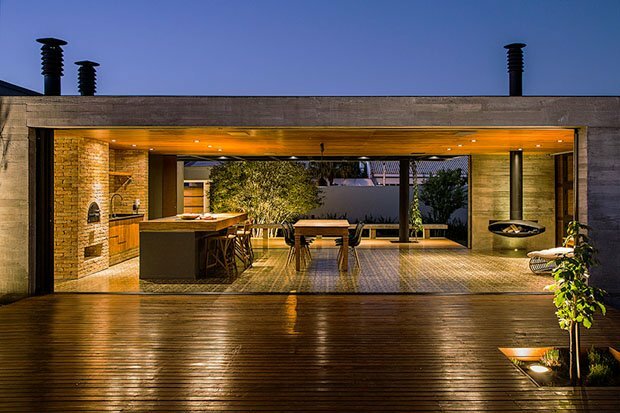 In turn, this adjoins an expansive terrace complete with an L-shaped swimming pool, which runs parallel to the property.